Then Absorb LMS needs to be on your list. From customer reviews to industry expert ratings, Absorb LMS continues to be a leader according to Capterra, TrainingIndustry.com, Brandon Hall, PC Mag, Gartner and many more. Stop by Booth 3157 for more info. You can find us at Booth 3157. 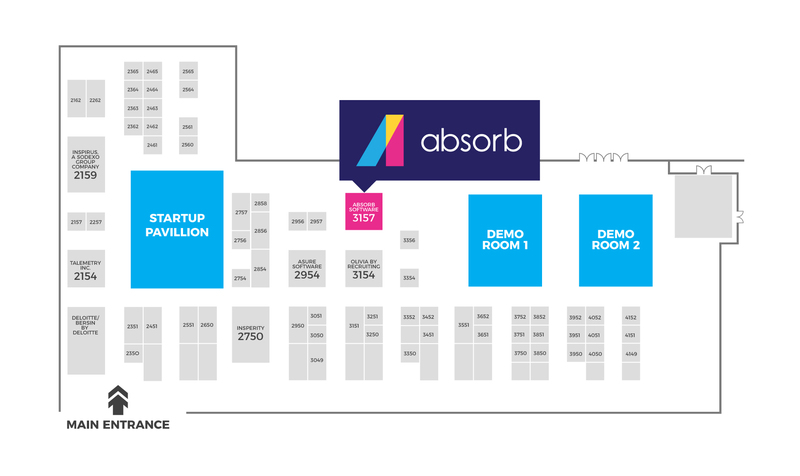 We're near the Startup Pavillion and the Demo Rooms. As you get close, look to the ceiling to see our sign hanging from the rafters. Every break between your sessions, swing by our booth! 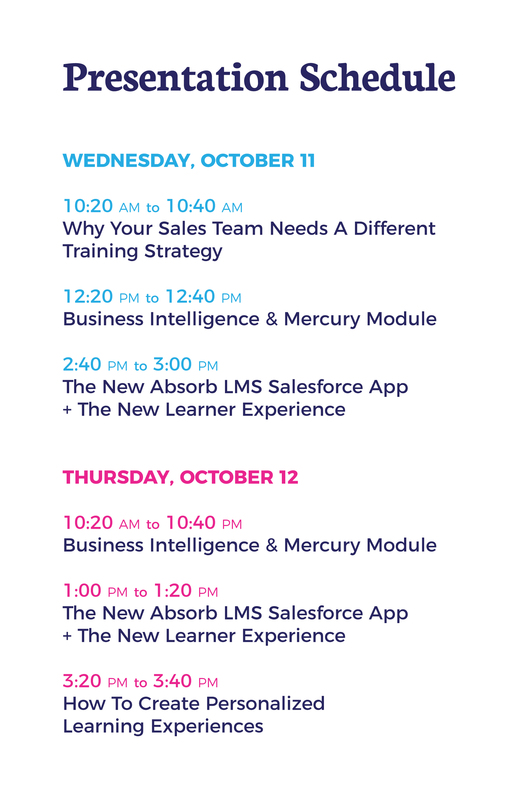 Our team will be putting on some excellent and quick 20-minute presentations right in our booth. We have desktops and tablets at our booth where you can really dig into the admin side, but if you'd like to dive into our learner experience right now you can.